I’m going to admit right off the bat that I’m not great at hermetic qabala – it’s a bit formal for me. 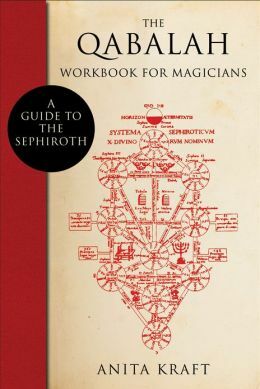 That said, Anita Kraft’s Qabalah Workbook for Magicians is an amazing piece of work. It is, first and foremost, a workbook. It will require WORK to get through it, and not easy work at that. For ten months you explore each of the sephirah using altars that you create, and then meditate at twice a day. The altars are very specific in setup and configuration, with each item tied to a question for the reader to explore, creating a deep level of understanding. This is detailed and deep work. It is not for everyone. The writing lacks a kind of . . . joy. But the author’s passion is clear. So, it may not convert anyone on the fence, as it were, but anyone already interested in the qabala will truly enjoy doing this work.